AOA represents four divisions and 41 member clubs. Please find a complete listing of the AOA member ski clubs below. 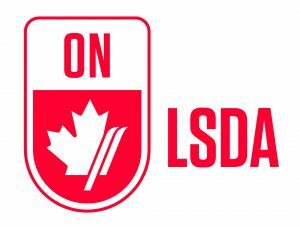 SOD represents 26 ski clubs in the area from Belleville to London to Peterborough with the majority of skiers in the Collingwood area. Ski racing greats from SOD include some of Canada’s great legends including Brian Stemmle(Georgian Peaks), Karen Stemmle (Georgian Peaks), Todd Brooker(Toronto Ski Club), Liisa Savijarvi (Georgian Peaks), Laurie Graham(Osler Bluff) and Steve Podborski (Craigleith). SOD has placed the following athletes on the CAST including Kelly VanderBeek (Chicopee), Larisa Yurkiw (Georgian Peaks), Tyler Nella (Georgian Peaks), Erin Mielzynski(Georgian Peaks), Meg and Kate Ryley (Craigleith), Scott Barrett (Osler Bluff), Nic Zoricic (Craigleith), Kelby Halbert (Toronto Ski Club), Madison Irwin (Craigleith) and Phil Brown (Craigleith). SOD racers make up over 80% of the Provincial Sport Organization of Alpine Ontario Alpin and as such offer its membership programs at the U12, U14, U16 & U19/21 level for both the SOD CUP and OCUP development streams. 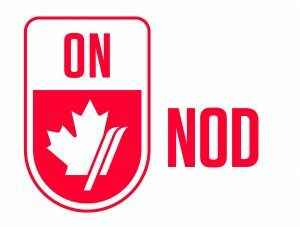 Ski racing greats from NOD include Kathy Kreiner (Timmins) who won GOLD at the 1976 Olympics in Innsbruck and Kate Pace (North Bay) who won six World Cup medals and three Canadian downhill championships. Others from NOD who skied at the National level include John Mealey, Jeff Armstrong, Gord Acton, and Michel Pratte and Angela Gougeon.